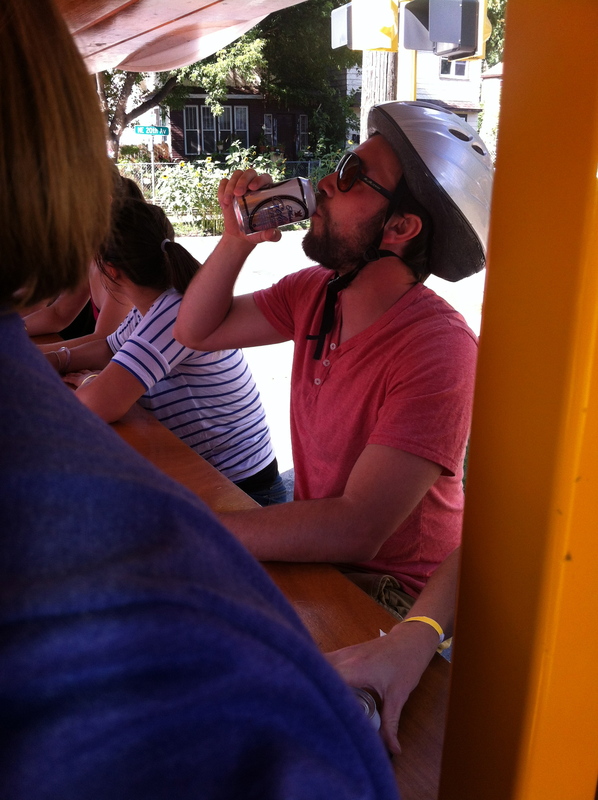 If you’ve never done a Pedal Pub, I highly suggest you try one. We went on one last weekend, and it was a blast. According to their website, The PedalPub® is the Bike with the Barrel!® Their mission is to provide a fun, safe, environmentally-friendly way for groups of eight to sixteen adults to get some light exercise and fresh air while touring interesting parts of town on a big Dutch-made bike. Our tour went around Northeast Minneapolis. 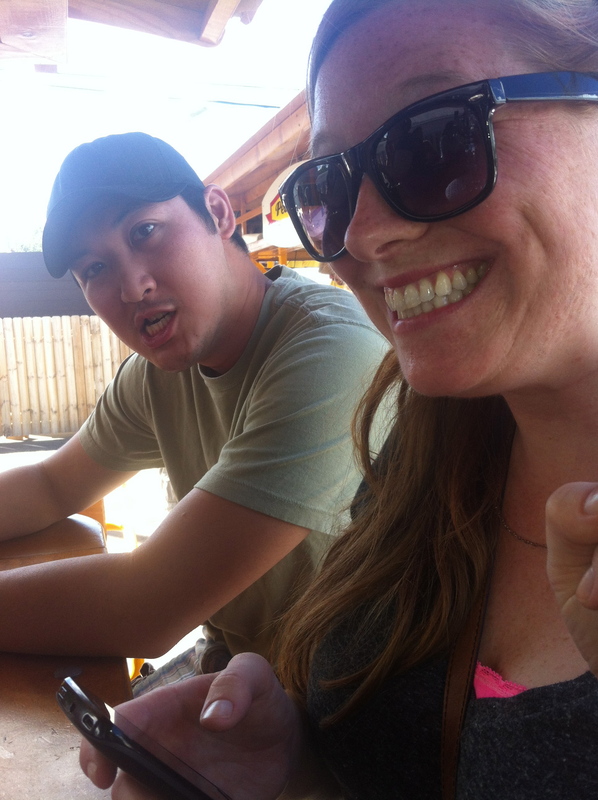 I only went into Mayslack’s Bar to take shots and stayed drinking on the pedal pub at other stops. The majority of the times available are during the day so it’s totally acceptable and expected that you’re day drunk. It’s a good workout. Unless you grab one of the seats without wheels for the majority of the ride (guilty), you’ll be pedaling for at least an hour while tipping back those high-cal drinks. All of the Pedal Pubs that we’ve been on have a CD player which means you can jam out to your own music while pedaling along. Our mix included Ke$ha, Beyonce, Spice Girls, Michael Jackson, J. Beibs, Robyn and Miley. Last weekend was beautiful! It was like 75 degrees and sunny all afternoon. 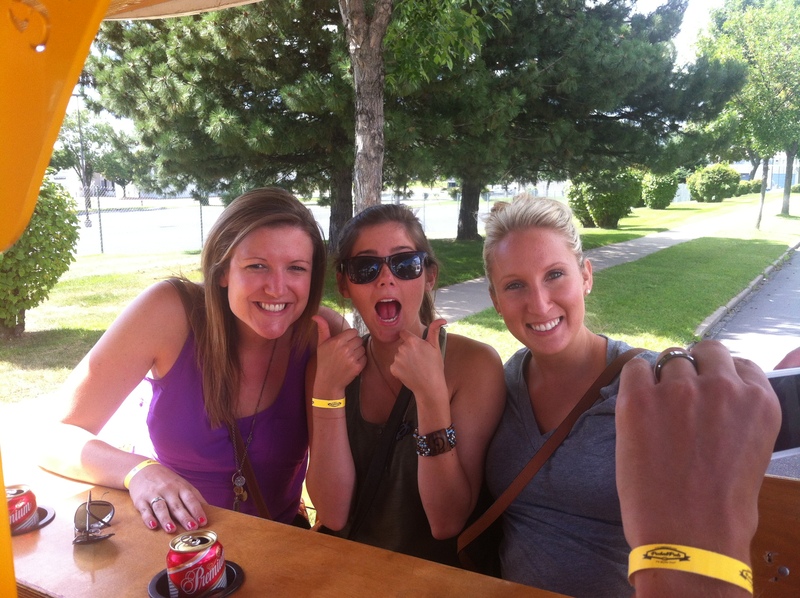 Chilling on the pedal pub was a great way to enjoy great weather while also binge drinking! Who doesn’t like a bar crawl? Well this is a bar crawl minus the walking. There’s still time left in the summer! So schedule one. You won’t regret it.